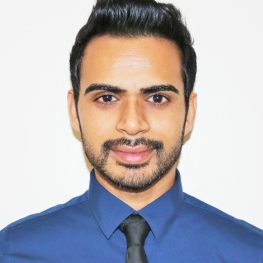 A young medical doctor from Gujarat, India, Madhusudan Patel began his medical education at University of Seychelles American Institute of Medicine and graduated in 2013. He travelled to UAE, Seychelles, Mauritius and India for clinical exposure, throughout his medical education. After moving to the United States he has actively pursued his medical education with many established doctors. He volunteered at the 43rd ISOBM annual conference held during September, 2016 in Chicago, IL, which was attended by established academics such as Dr.Ferid Murad and Dr.Robert Winn. Recently, Madhusudan has enthusiastically started developing his skills in medical research and is a board member of Oncomarks.org where he is working with researchers towards helping other students. He is a very passionate medical doctor who aims to acquire a position in an Internal Medicine residency program and is actively working towards expanding his academic goals.